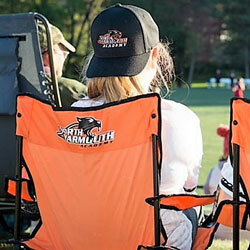 If you know where to look, you can find all kinds of NYA logo gear for the entire family! 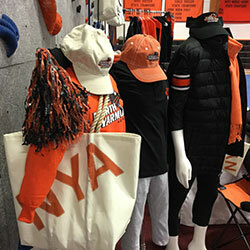 The NYA Parents’ Association has an ever-expanding selection of NYA logo gear for sale. Pop-up sales will take place at various school events, athletic contests, and more. 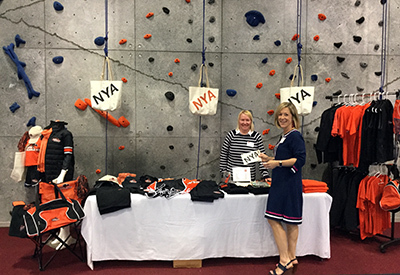 If you’re anxious to get an NYA Sea Bag, scarf, hat, headband, etc., and you don’t want to wait for a pop-up, send an email to nyastore@nya.org, and we can make it happen. 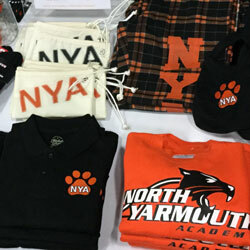 In addition to the NYA logo gear from the Parents’ Association, we have an online store that stocks the basics. Our online store is contracted through Brian Gilbert Associates who has a store in Cumberland Center. You can stop by the store and try on most of what is offered online to make sure you get the product and size that works for you. See address and store hours.